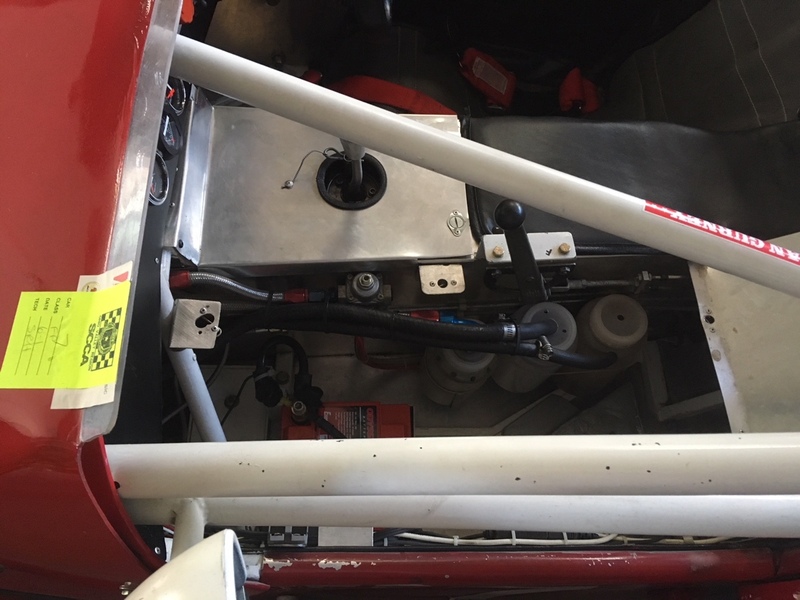 I bought SB1168 from Austin Britton in January of 2018 with the intent of racing it at the SCCA Runoffs at Sonoma, California in October. Only time will tell if it was the right decision! 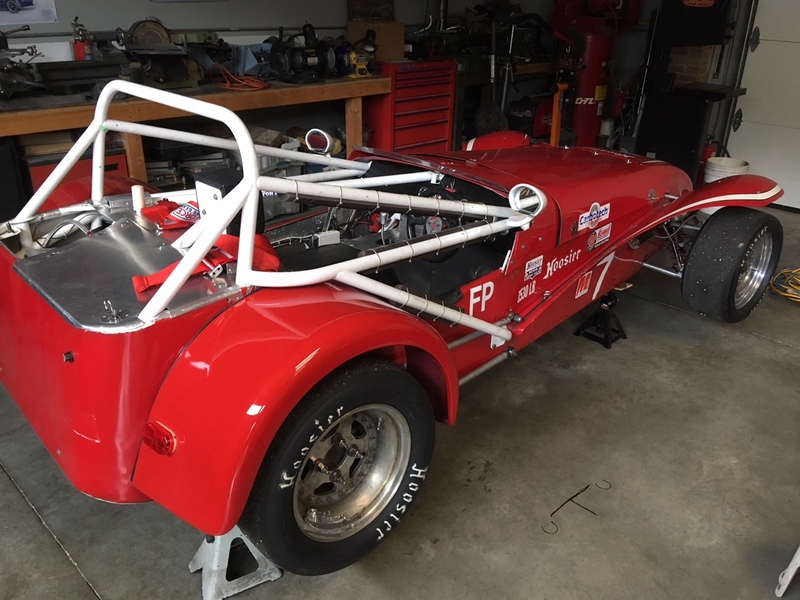 I have known Austin, and known of this car since sometime in the early 1990's when I was racing my MG Midget in FP and Austin was racing SB 1168 in EP. 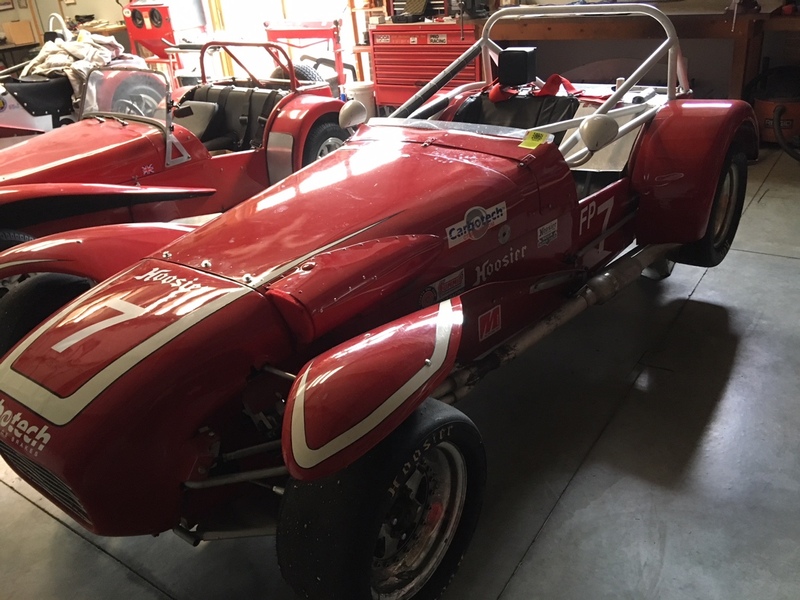 Austin had come to a SCCA National race at Nelson Ledges in my "backyard" in Northeast Ohio and my supposedly slower MG Midget was lapping considerably faster than his Lotus. 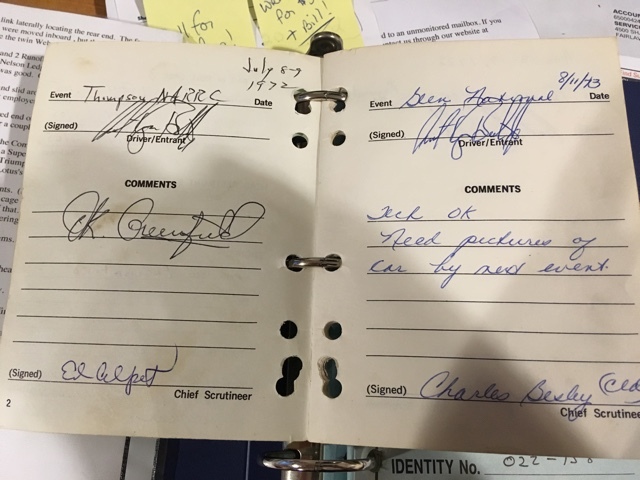 We were both "serious" SCCA National racers at the time and both top Runoffs contenders and Austin didn't take lightly being outshone by some local hotshot in a lowly F Production MG Midget so he sought me out in the paddock and we quickly became "fast friends." Austin is quite a character and has now retired from both racing and his longtime profession (maritime freighter captain) and he started racing back in the mid 1960's. 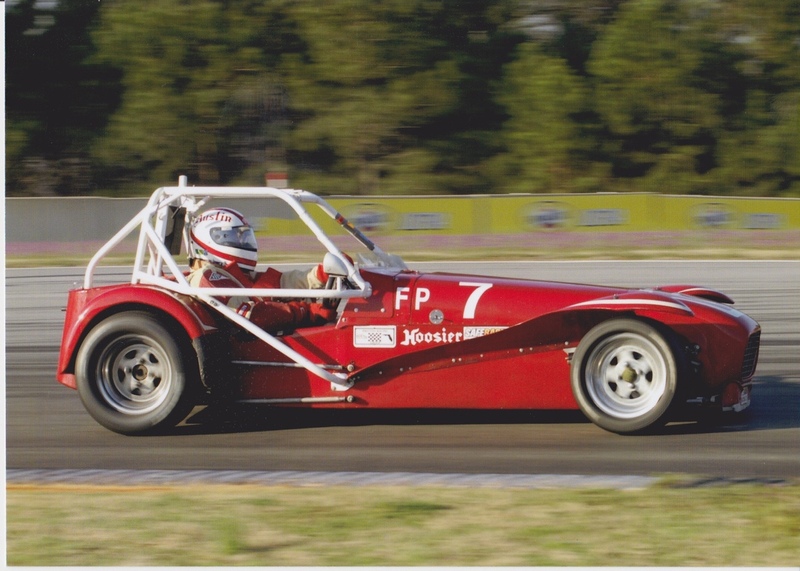 In fact he shared with me that he purchased his first Lotus 7 (not this car), in the spring of 1966 and ran his first driver's school in it in September 1966. In those days, the 7 was actually a C Production car and Austin shared with me that when the 911 and the Elan were homologated the 7 was "dropped" to D Production. Being classed in CP and DP meant that 7's were racing in groups with the big bore cars like 427 Cobras and big block Mustangs and Camaros. Yikes! 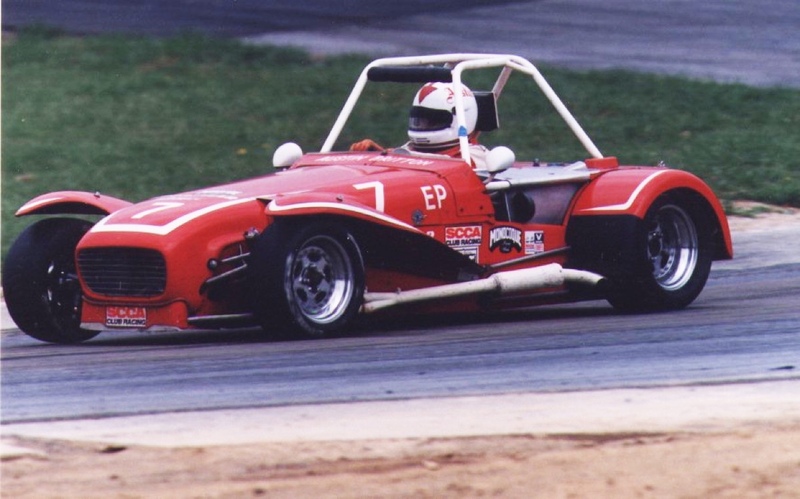 Austin raced his first 7 all throughout the Northeast at tracks like Lime Rock, Thompson, Bryar, and Watkins Glen (at the time he resided in Connecticut, not far from Lime Rock) until a race in 1971 when an incident with an Alfa Romero at Lime Rock brought the demise of his first 7. 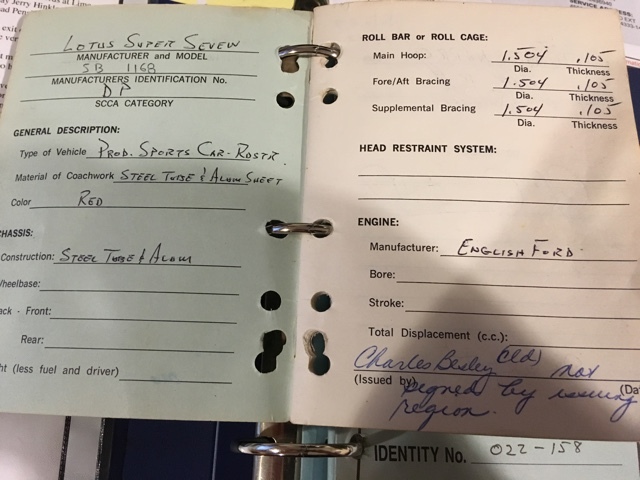 He was forced off track, a wheel caught in a culvert and flipped the Lotus several times and as he put it, he "went under the bridge upside down on the rollover bar." The worst of his injuries was a broken hand from slapping the pavement from the flip (this was before arm restraints were required). The wreck didn't diminish Austin's enthusiasm from racing and during the winter he purchased SB1168 from a local racer who had been developing the car over the previous few years and this began a 40+ year love affair with it. He moved over some of the salvageable "good" parts from his wrecked car and further braced and strengthened SB1168's chassis over the winter/spring and went to his first race in his "new" Lotus in July 1972, running against the Group 44 Triumphs and Bob Sharp Datsuns. Unfortunately, as he says, "I couldn't hold a candle" to those cars, but I was learning all the time. By 1974, he qualified and went to his first Runoffs at Road Atlanta and that began a long string of Runoffs appearances, the culminated with 2 Runoffs podiums (both at Mid Ohio), and lap records at Lime Rock, New Hampshire, Mosport, Pocono, and ultimately, Nelson Ledges. 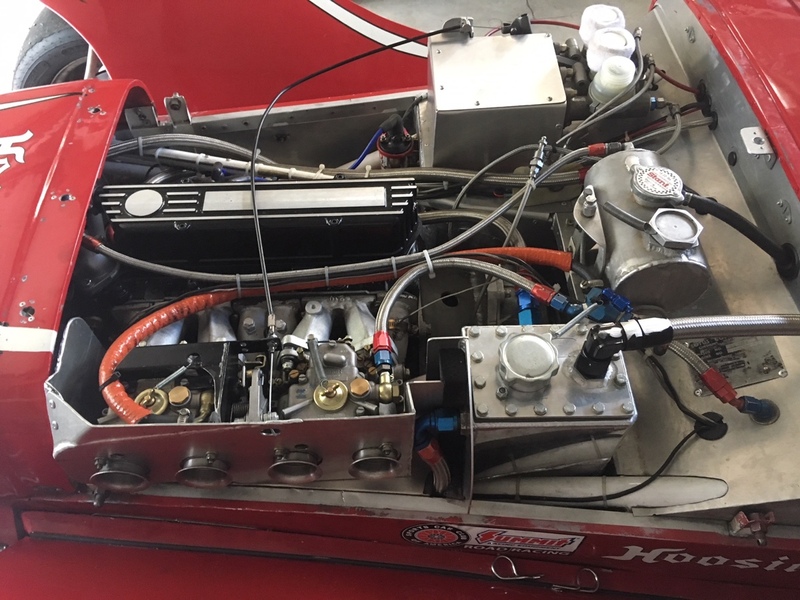 Over the past 40 years, Austin says the car has been crashed and modified several times and has been heavily influenced by the DSK Turbo 7 that was originally built in Marblehead Mass. That design was proved by MIT engineers and the chassis was actually fabricated by Carrol Smith (yes, THAT Carrol Smith -- the guy who wrote all the books!). 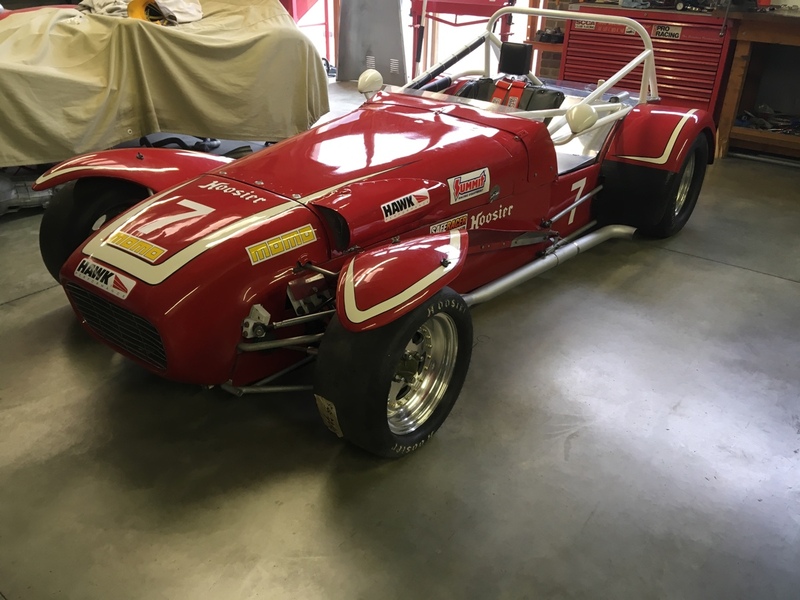 Fast forward to 2018 when I decide to get back into SCCA racing after a 12 year hiatus and I just "know" that I have to go racing again in a Lotus 7. 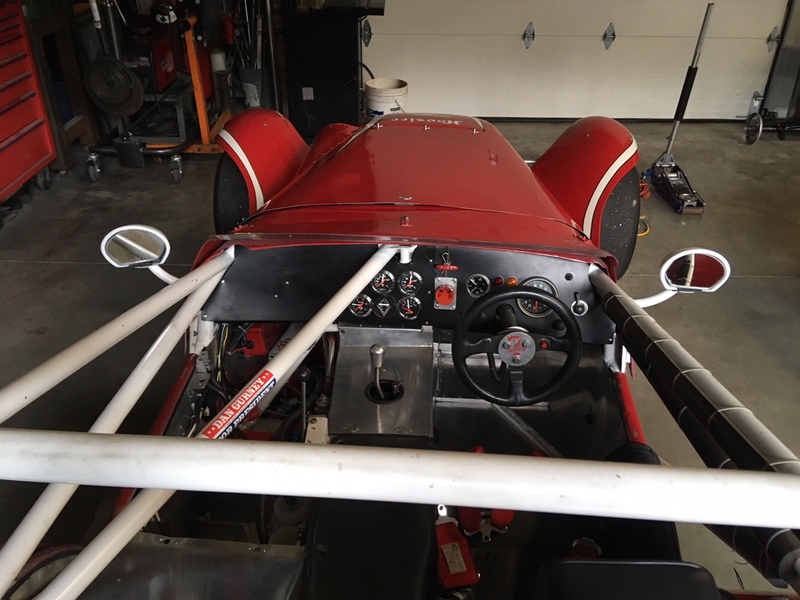 After all, for the past 12 years I have been building up my vintage motorsports prep business and racing one of my two vintage race-prepared Lotus 7's. So, after some brief dialog with Austin we strike a deal and I head down to Florida (where he relocated several years ago) and pick up the car). Given that the car has not been raced in a few years, this doesn't give me much time to completely go through it and make the changes that I plan on making given that I plan on racing it at my first SCCA "Majors" race at VIR (Virginia International Raceway) in early April. But we manage to strip it down and completely go through it in less than 3 months and have it on the track at VIR. 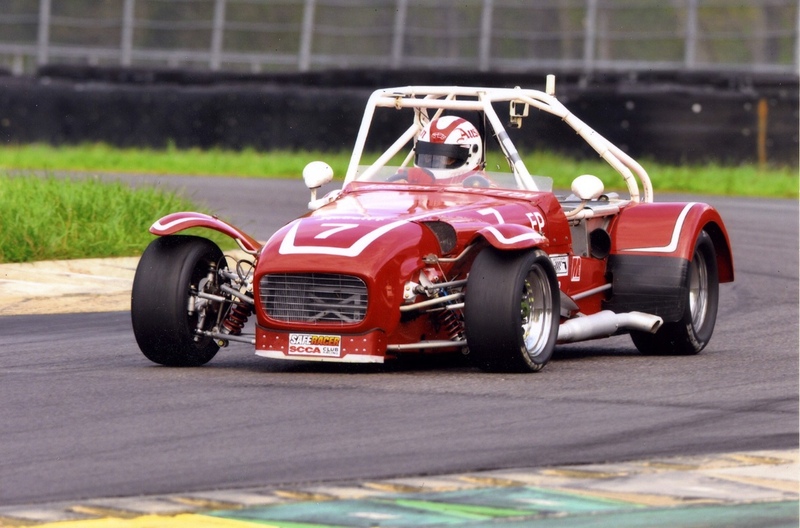 SCCA racing has changed over the years, but they still find a place for older cars like a 50 year old Lotus 7 to race competitively against modern Mazda Miata's, Acura Integras, Honda CRX's and the like. They've added a bunch of weight to the car (now 1530 pounds with driver) and the car is classified as an F Production car but it is still a blast to drive. My first two races are way less than spectacular. Mid-pack at VIR and 4th at Summit Point, but we follow that up with a win and new lap record at Pitt Race, and were on pace for a win at Mid Ohio (with lap record) until a broken valve ended that run with just a couple of laps remaining. SB1168 is an incredible piece of Lotus history. Wish us well on our trek to California and the SCCA Runoffs at Sonoma and racing beyond!